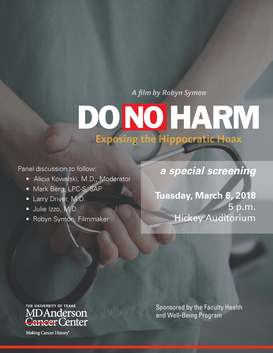 We invite you to attend a special pre-release screening of the documentary film Do No Harm, produced and directed by Emmy award winning filmmaker Robyn Symon. 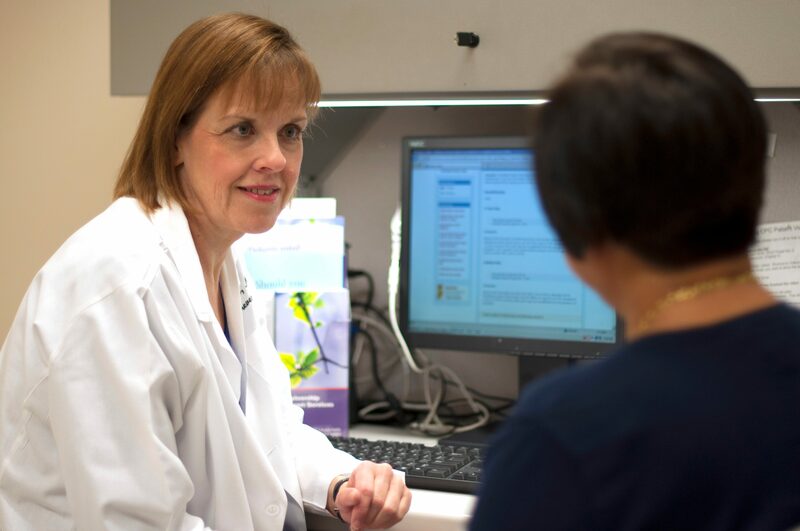 In the U.S., an estimated 400 physicians take their own lives every year. 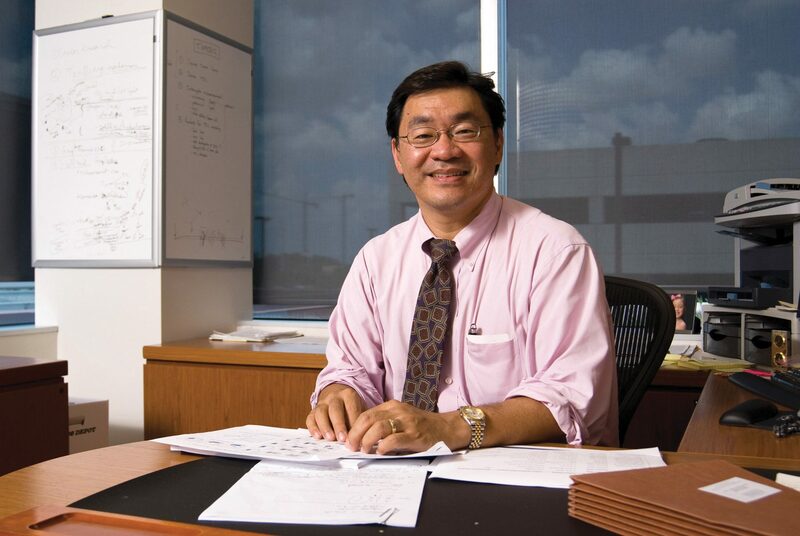 The film follows four individuals touched by physician suicide. But physician suicide is just the tip of the iceberg. 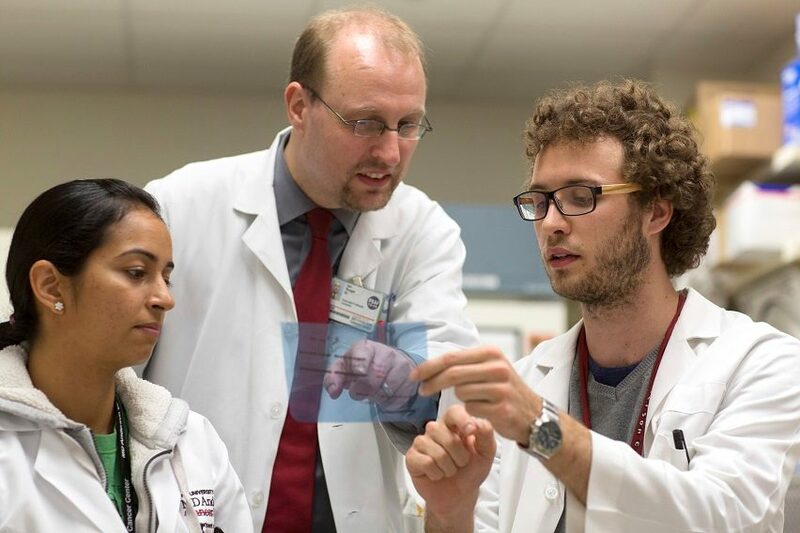 The film explores the complex healthcare system that impacts how physicians practice medicine and the environment for doctors in training. The film also focuses on solutions, including legislative reform, ending the stigma surrounding mental health treatment, and shining a light at the other end of the tunnel for suicidal doctors. Speaker Bio: Robyn Symon is a two-time Emmy Award-winner, and an accomplished writer, producer/director, and editor. She began as a television news reporter in Texas, then joined PBS in Miami where she hosted and produced documentaries, public affairs programs and the TV series Florida! (6 seasons; Travel Channel). She wrote and produced the docu-series “Voices of Vision,” which focused on the work of non-profit organizations worldwide. She has produced hundreds of hours of TV series for major cable networks including Discovery, CNBC, HGTV and currently produces a series on the Reelz Channel. Prior film credits include: “Transformation: The Life & Legacy of Werner Erhard,” acquired for international distribution by Screen Media Films and “Behind the Blue Veil,” about the ancient Tuareg in North Africa, which was distributed by Journeyman Pictures. Her most recent documentary—“Uncle Gloria: One Helluva Ride!” — is currently on the film festival circuit.